If you need an electrician in Hereford, call Nationwide Electrical Services Ltd. From rewires to consumer units, we have the skills and expertise to produce outstanding results. With 25 years of experience to draw upon and a dedication to the very highest level of workmanship, we are your reliable choice for all your electrical services. We work with domestic, commercial and industrial customers from across the Hereford region and no job is too big or small for us to handle. 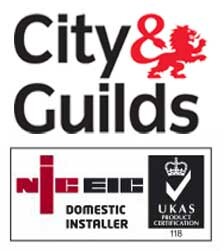 We are NICEIC Part P registered, giving you complete peace of mind and an assurance that we can handle any task. If you're a landlord or if you think there is a fault with your wiring, call us in for complete wiring inspections. We apply our 25 years of knowledge and expertise to every job, tracking any fault down quickly and mending it just as fast. So call us today for a quote. Our rates are highly competitive and our service is second to none. You can reach us on 0845 136 4253 or by using the form on our 'Contact Us' page. If you need an electrician in Hereford, make us your first choice.